A few posts ago, I shared with you what Brian Davies, a philosopher and well-respected Thomas Aquinas scholar, said Aquinas’ greatest achievement was. And I don’t want to leave it at that. I want to post what Brian Davies considers to be Aquinas’ second greatest achievement. Well, I read it and found it interesting. For a blogger, that is enough reason to post it on his or her blog. But I also think it’s important. Because, if Davies is correct about this, then Aquinas’ second greatest achievement is correcting our very conception of God. I posted a few weeks ago a lengthy quotation from Marilynne Robinson where she argues that the Christian God is not the Watchmaker God. She showed that the way that some traditional apologetics discussions lead us to think about God is not biblical. But, as you will see, Davies thinks that part of Thomas Aquinas’ great achievements was his conception of God, which he explained and defended. If it is true, as it is often said, that the most important thing about someone is what they think about when they think about God, then our conception of God is quite important. 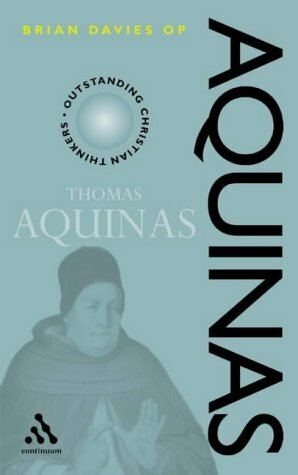 Davies thinks that Aquinas’ view corrects a popular misconception of God. “If asked to say in a sentence what Aquinas’ second greatest achievement was, I would reply that he gives us a solid and reasoned antidote to idolatry. I take idolatry to be the worship of a creature. And I say that Aquinas provides an antidote to it since I take him to have successfully shown that what many have taken to be God, and therefore to be worshipped, is not God at all. In particular, I take him to have shown that much that is currently offered as an account of God is grounded on a premise which is fundamentally idolatrous. This is the premise ‘God is a person’ as construed in the light of the philosophy of Descartes. “As I noted in Chapter 11, Descartes maintains that people (persons) are immaterial thinking substances contingently connected with bodies. They entertain thoughts. They reason. They have beliefs. They go from one intellectual state to another. And, though essentially immaterial, they have effects in the world of matter. According to Descartes, I am a disembodied mind, yet I can get things done in the material world….Curiously, however, Descartes’s account of people seems to have been taken to heart by many contemporary theologians and philosophers of religion. For we often find them saying or presuming that God is more or less what Descartes takes people to be: a person without a body who invisibly thinks and wills and lives a life as our contemporary. Some of them have told us that he is causally affected by what happens in the world. Many have insisted that he is temporal and mutable. Some have suggested that God might have lapses of memory or that we can imagine what it is like to be God by introspection and by thinking of ourselves as acting in the world. Now, I know that some of my readers probably don’t see the significance of this. So what if we shouldn’t think of God as being similar to what Descartes thought a person without a body would be like?. Surely one of the most important Christian thinkers ever would be more profound than that. Right? I do think that his thought on this is more profound and relevant. First, it is profound. 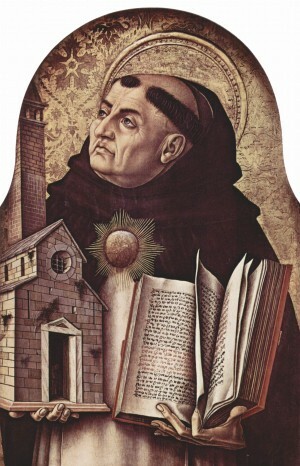 Aquinas wrote thousands and thousands of words about his conception of God. For those of you who are suspicious of a philosopher writing so much about God, you should know that Aquinas thought he was explaining God as the Bible revealed God. In other words, Aquinas was trying to present a conception of God that was consistent with the Bible. He didn’t just throw his hands up after pondering this subject and declare that God is too different for us to understand. He explained his view in great detail. In fact, as he does in much of his writings, he explicitly addresses many counterarguments against his position. If fact, as you read his work, you’ll find that many of your own objections to his positions are addressed by him. So, though I don’t have time to explain his conception of God (you can read a summary of it here), I think any quick look at some of his writings on the subject would show that it is unfair to say that Aquinas’ thought on this is not profound. You might disagree with him, but his thought is still profound. Second, Aquinas’ thought on this is relevant. many of us have a conception as a “disembodied God.” That is, God is like Casper the Ghost, though less pudgy. God, whatever He is truly like, gets reduced to a spirit-like, powerful being. Compare this to the way people often think of heaven. Our spirits will float free of our bodies. We will be unencumbered by our physical nature, and we will simply be a spirit (or soul). God, we think, is somehow like that, though he is much more powerful. I can remember as a kid thinking that God would just be a really big ghost-like being. When we pray, we think we are praying to a ghost-like God. When we think of the Incarnation of Jesus, we think of it as a ghost-like God putting on the human nature like Casper put on clothes in some of the cartoons. But this isn’t what God is like. Why? (And what I say here is similar to what Aquinas says.) Because this conception of God treats God as if He were another object in creation. Think about it. Let’s assume for a moment that humans are just spirits or souls that are (temporarily) joined to a body. We would still be created by God. We are creatures in His creation; we are objects in the world. If ghosts really existed, they would be creatures in God’s creation; they would be objects in the world. In other words, thinking of God in this way treats God as being similar too similar to the objects or creatures that He created. It doesn’t matter if the objects are spirits or souls or disembodied persons. God is the Creator of these things; he isn’t one of them. He is wholly different. This is why Davies starts the above quote by referencing idolatry. If we think of God as a disembodied person, as a spirit or soul, then we are thinking about God as being very similar to His creation. We are worshipping something that looks like the creature rather than the Creator. That’s wrong. The Bible calls it sinful. Additionally, I find it implausible. This might be a personal issue, but there is something about this conception of God that I find unbelievable because it is too similar. It seems to me, albeit intuitively, that the Creator of everything we see would be different, even inconceivably different, than the creation. And the picture of God as a soul or spirit located somewhere (e.g. a throne-like place in an airy heaven) is implausible if it is taken to be a description of how God actually and essentially is. Yes. It might be helpful as a way of talking about God. The Bible uses some language like that. But it is helpful in the way that talking about the hand of God is helpful. We use it meaningfully, but we don’t think that God actually has a hand. And God isn’t actually a really powerful soul or disembodied spirit. He is different. And, oddly, the inconceivableness and transcendence of God actually makes Him more plausible. For this, I think Aquinas’ view is profound and relevant.